Business process today involves getting many types of information to multiple people as per business rules that are constantly changing. 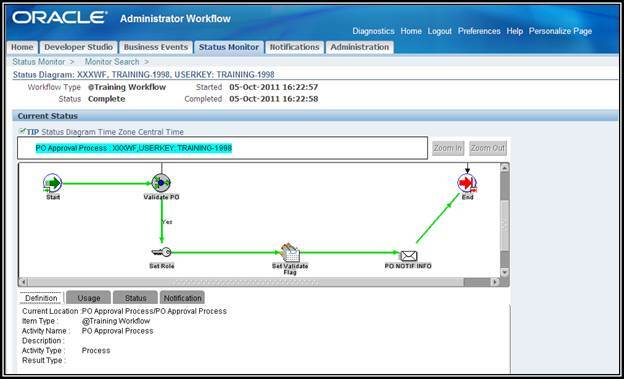 Workflow is just a mean to automate business process as per business rules. 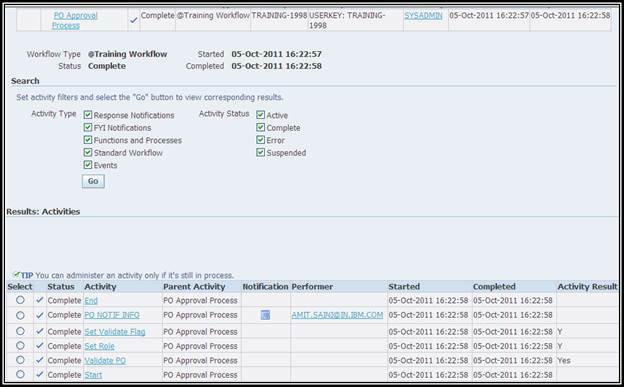 Suppose we have some processes related to Purchase Order like PO approval, notify approver etc. We will include these processes under the item type PO as they are helping in managing Purchase Order. 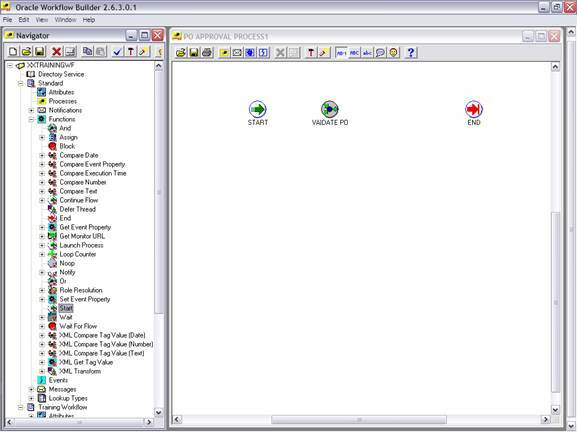 Open workflow builder, click on file menu then new to create new data store. Data store is nothing but a file that stores your WF definition. Save it with a name you desire. Now item type is created. Click on expand beneath item type in navigation tree to see components attached with item type. 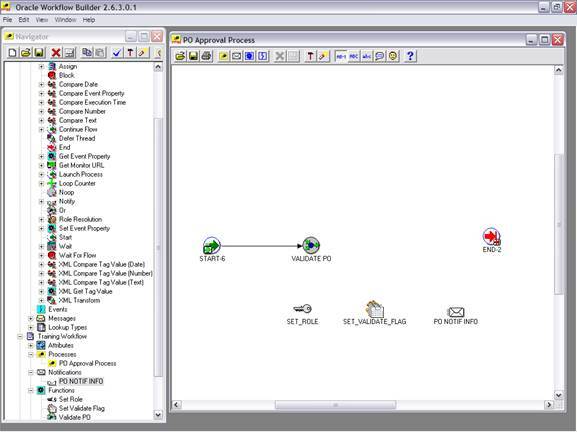 Attributes are like a global variable which are required to store information necessary to complete wf process. 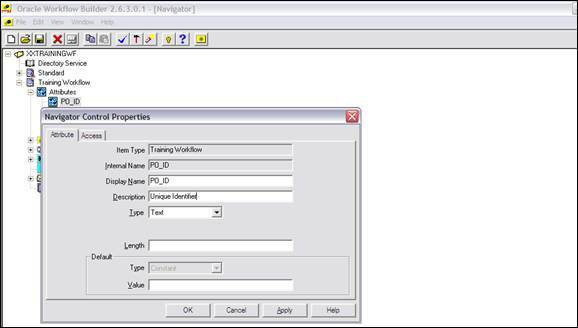 For example, PO Number, PO description, sends to role etc. which will be required by an activity in a process like PO Validation. Right click on attributes node beneath item type XXAATRNG Workflow. Like this you can create as many attributes as needed. It is just a static list of values which can be referenced by activities, notifications etc. 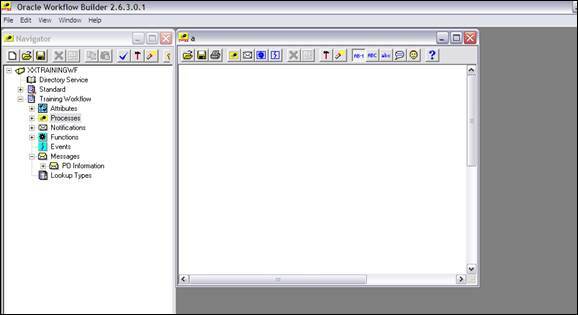 The messages branch lists all the available WF messages for the current item type. A message is what a notification activity sends to role or a user. A message can prompt a user for an action to take that determines what the next activity in a process should be. Click on Body tab to define body of a message. 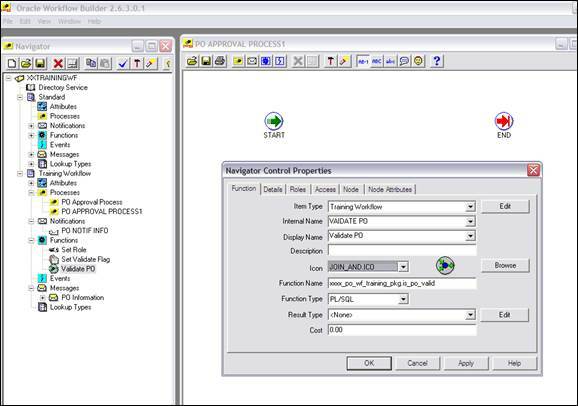 Suppose we want to give the description of the PO also along with the message, then copy the attribute with ‘&’ as a prefix. 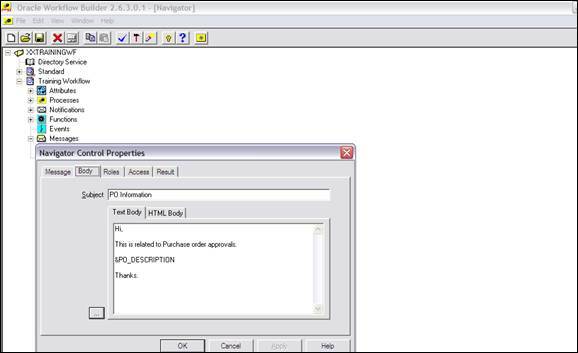 To have PO description in a message simply drag an item attributes PO_DESCRIPTION number and drop under current message. After providing values for the above mentioned fields, double click on the process you have just created. A process window opens. This is a workspace where you will define business process. 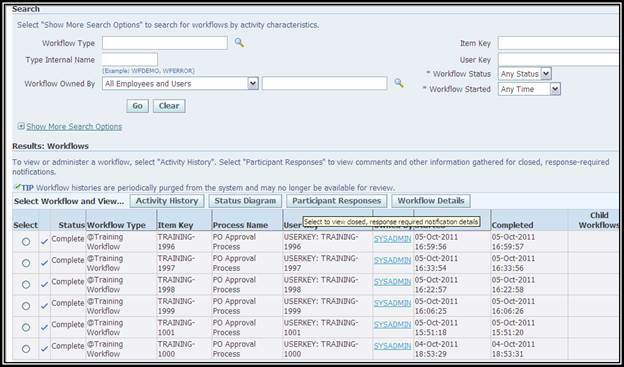 To add standard activities provided by Oracle workflow copy an item type standard to your current item type. 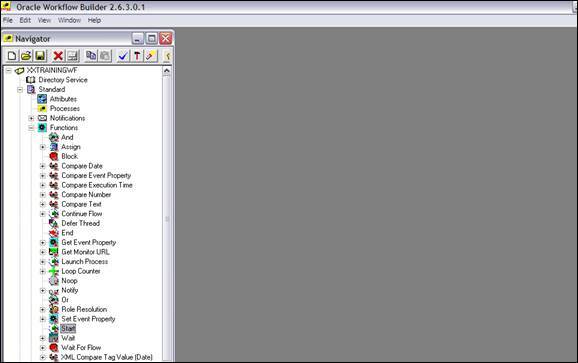 Directory Service and Standard types will be added automatically. 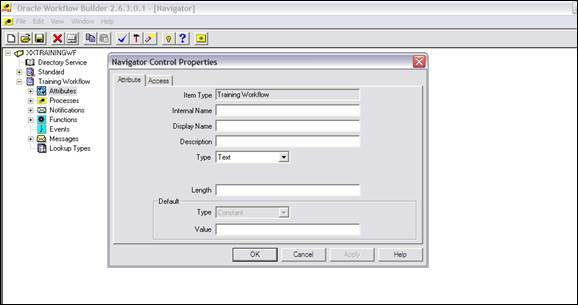 Select Start function under function branch in the standard item type and drag it to your process window. Same needs to be done for adding end activity. It just represents a flow between activities. For example, we have an activity in a process which selects an approver and depending on the result it decides whether to end the process or send a notification to approver for his approval. Now depending on the result of this activity, we will decide what will be the next activity should be. If the PO is being validated then we can decide what will be the next step, we can set the role whosoever is validating the PO. If the PO is being validated then the status of the flag will be changed to VALIDATED and notification will be send to the user. 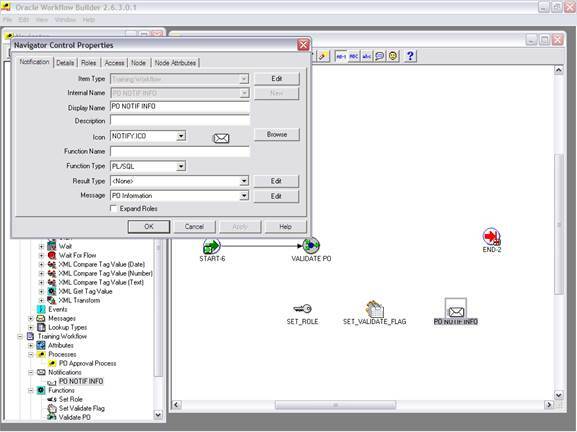 In same way, add all the functions needed to complete the workflow. Oracle workflow lets you integrate your own custom PL/SQL procedures and functions in your workflow procedures. 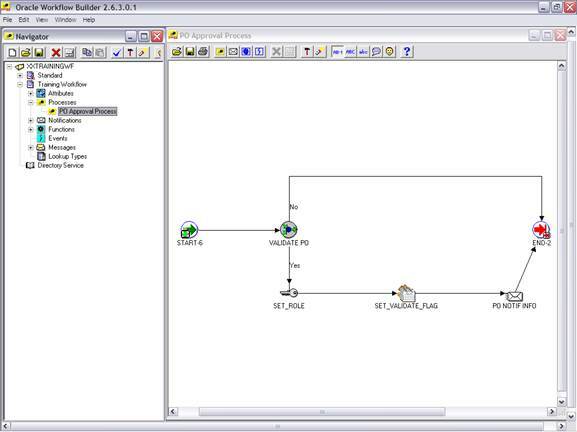 All PL/SQL stored procedures that are called by function or notification activities in an oracle workflow should follow standard API format. Itemtype -> It is an internal name of your workflow process. Itemkey -> It is a unique key generated for each instance of your WF process. 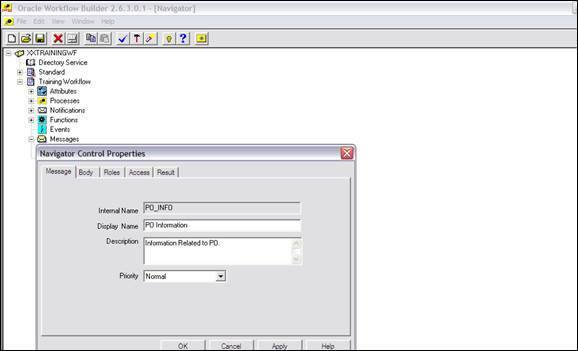 Actid -> It is an id number of the activity fro, which this procedure is called. Funcmode -> It is an execution mode of an activity. 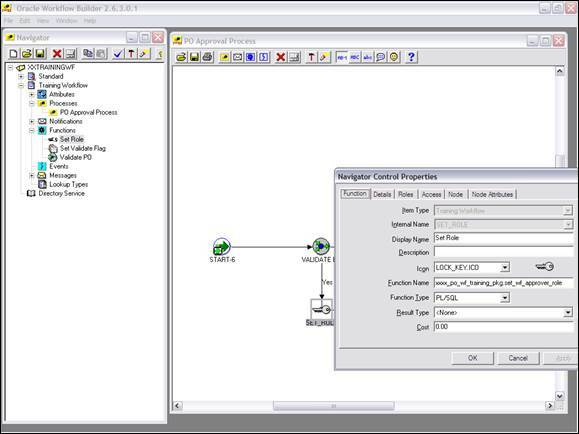 If the activity is function then funcmode will be run or cancel. expected result that is returned when the procedure completes. 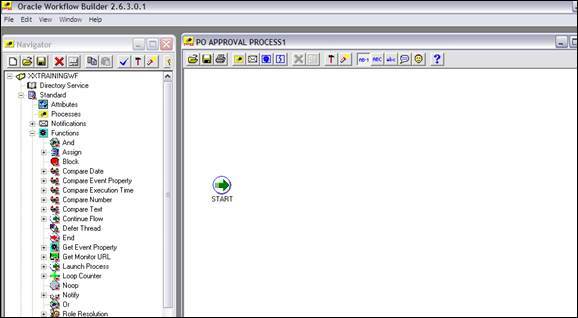 Go to Workflow Administrator Responsibility -à Status Monitor à Open the form. 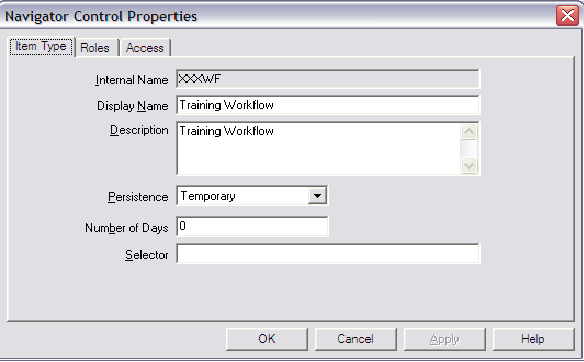 Enter the workflow type à XXAATRNG Workflow in our case. Then press GO button. 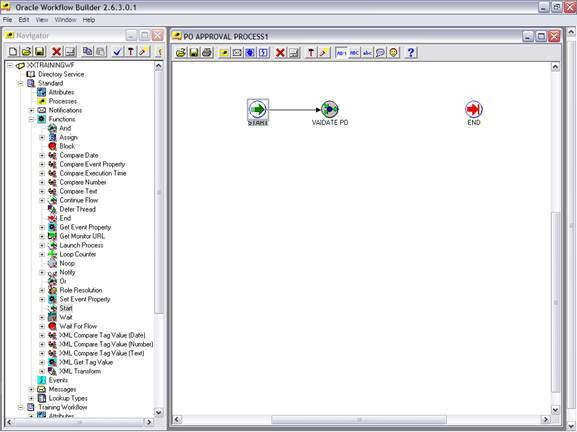 All the processes which we run will be displayed with the unique item key as shown in the below mentioned picture. 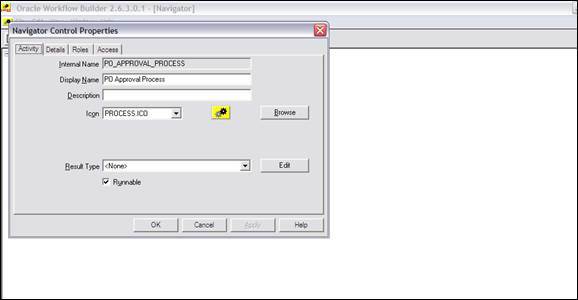 Select one of the process and click on Active History. The details will be seen which we have filled in the API at the time of insertion in the table. As you can see the performer in the below attached screenshot, the mail will go the mentioned ID. 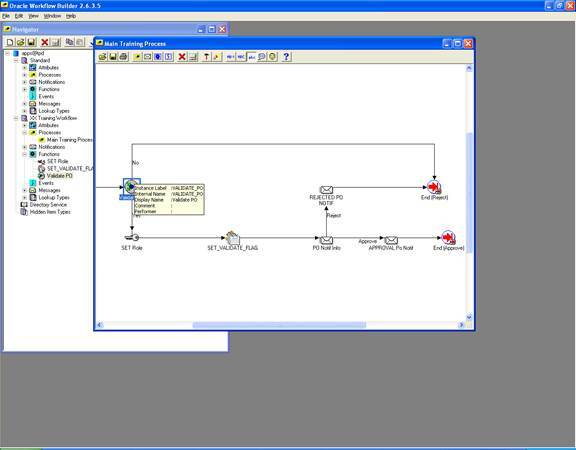 Now go back and click on the status diagram, the latest workflow process will be displayed as. 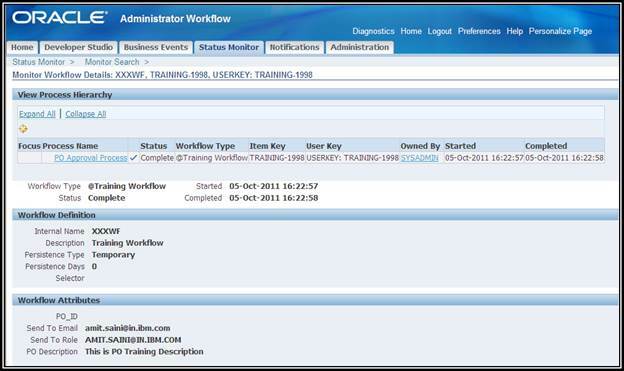 Click on each function to know the definition, Usage, Status and Notification. 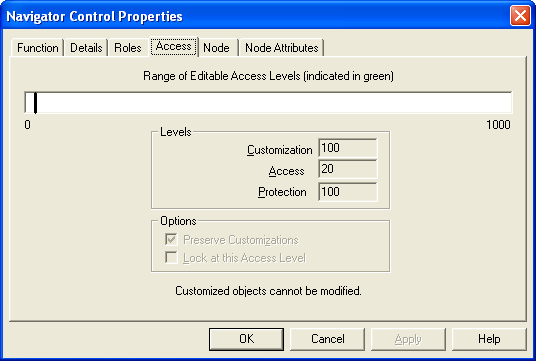 You will able to see the Workflow Attributes and Workflow Definition as shown below. Mailer Notifications should be ON, incase you want to receive mails , in above case the mailer notification is DOWN, hence not able to receive mails. Please follow the below navigation to know whether mailer is ON/OFF. 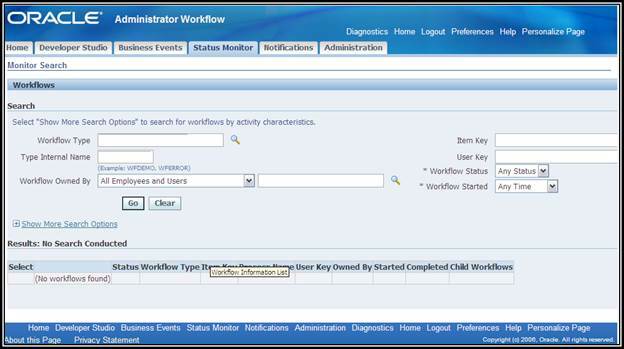 Go to Workflow Administrator Web Applications -àWorkflow Manager. Check the Notification mailer as shown below. 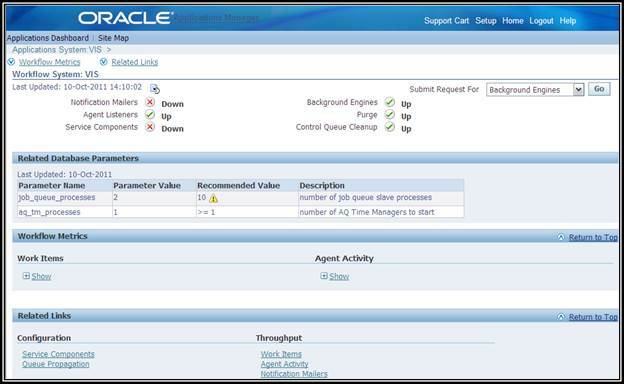 Oracle protects some key business critical activities from being modified using this concept. 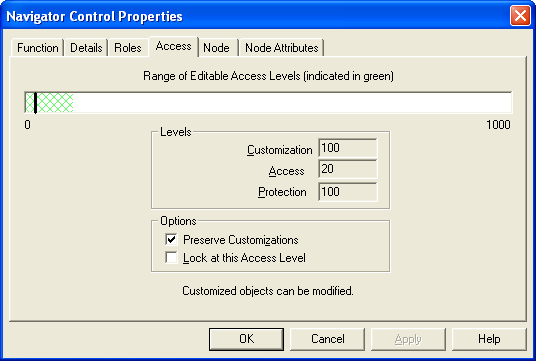 We can preserve customizations using this concept. 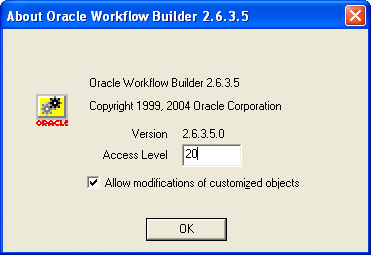 0 - 9 Reserved for Oracle Workflow. 20 - 99 Reserved for Oracle E-Business Suite. So Oracle Corp. developer will always work at access level of 20. He created an activity and doesn’t want customer to change as it is critical activity of the flow. First he set access level at 20. 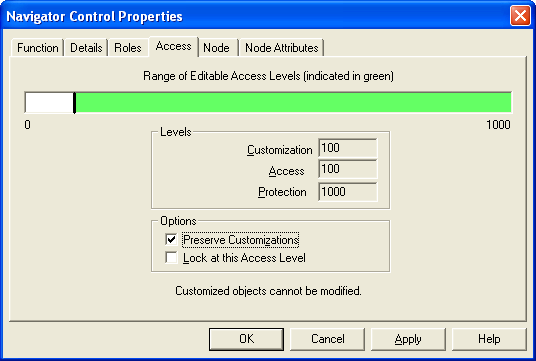 To prevent from modification he will lock at this level. Now at customer site, developer will work at access 100. Properties of po validity activity. 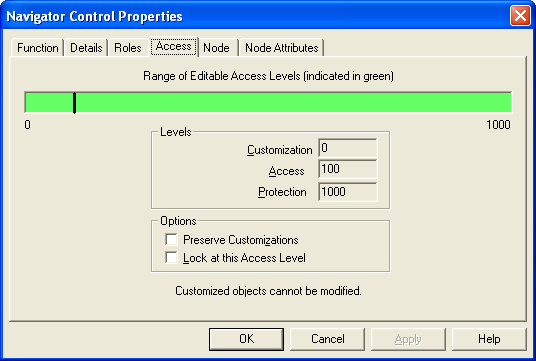 Access 100 is not between 0 to 20.so he will not be able to modify this activity. 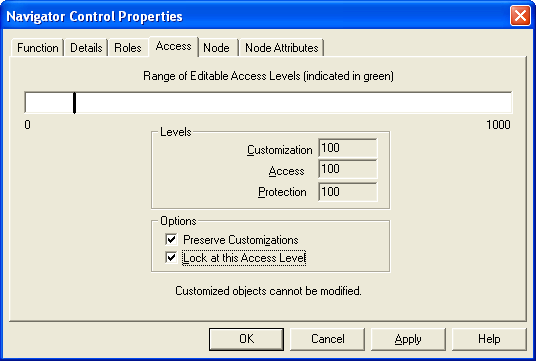 Now Oracle Corp. developer works at an access level 20 and change the lock property so a developer at customer site can customize the activity. Now protection is 1000 means it is public. At customer site, developer can modify this activity if he works at an aceess level between 0-1000. Now developer at customer site customize the activity and want to preserve customization been done. Now lock at this level. Now, Oracle corp. developer can’t modify this activity since it is been locked at 100. and 20 is not between 100-100 or 100-1000. Hence oracle patch can’t modify this activity. 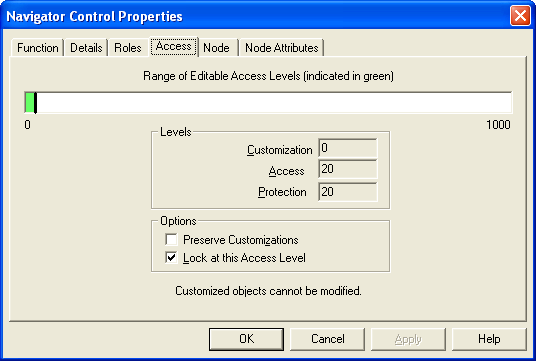 However by checking allow modifications of customized objects .They can customize these activities as well. Oracle delivers workflows via patches which use WFLOAD command to load their definitions to the database. FORCE - Force upload regardless of protection and customization levels. Appreciate your efforts..... Now i got basic idea in WF process.